Upgrades galore! 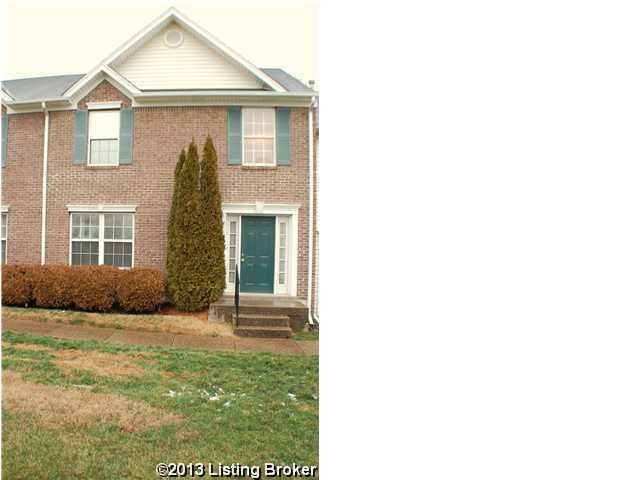 This fantastic 2BR, 2.5BA townhome w/ attached garage has it all! The kitchen has been updated a decorative tile backsplash, breakfast bar, & a full compliment of appliances, spacious eat in area, pantry huge great room, soaring two story marble entry w/ desk nook, spacious bedroom, & large master suite with tray rope lighting, private bath, walk in closet, & finished loft area. So many improvements including gorgeous molding, Brazilian cherry hardwood, CA shag style carpet, ceiling fans throughout, updated vanities & flooring in all the baths, & more! Exterior has private patio area and this home backs up to woods! FHA approved. Johnson Green is a subdivision within the city of Louisville, Kentucky. There are currently 1 Homes for Sale within Johnson Green, with asking prices ranging from $157,000 to $157,000. The average list price per square foot of the available inventory in Johnson Green is $90, which is below the Louisville average of $156. The Average Sales price of all sold real estate in this subdivision for the past year is $129,088. Recent comparable homes have been selling for 98.49% of their asking price. Waterfront homes represent 100.00% of the available Johnson Green inventory. The population of Louisville, according to the 2010 Census, is 597,337. The total number of households in the zip code of Johnson Green is 14,124, with an average household size for of 2.51 people. The total number of renter households within the zip code of 40291 is 3,433, which means that 75.69% of households in this zipcode are owner occupant households. 9618 Bayberry Green Ln, Louisville KY 40291 is a Condo, with 2 bedrooms which is recently sold, it has 1,634 sqft, < 1/4 ACRE sized lot, and 1 Car Garage,Attached parking. A comparable Other, has bedrooms and 0 baths, it was built in and is located at and for sale by its owner at $ 0. This home is located in the city of , in zip code , this County Other, it is in the Subdivision, and Glenmary are nearby neighborhoods.